During the digital transformation, IT becomes one of the most critical factors of the business’s long-term success. IT reflection shouldn’t be too shallow, IT resolution shouldn’t be too empty and setting metrics shouldn’t be a too much inward focus. Due to the disruptive nature of technology and abundant growth of information, IT simply cannot stand still or just react to changes. Digital IT organizations today need to become the change agent and innovation hub of the business. Thus, it’s important for CIOs to spend time on doing IT evaluation, stepping out of the routinely transactional activities for a while, to reimagine the new possibility of running a highly innovative digital IT organization. 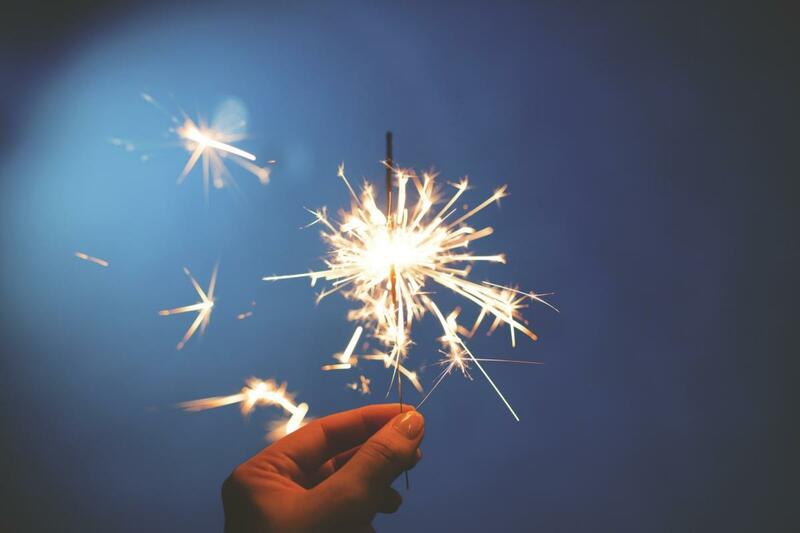 Perhaps it’s the right timing for IT leaders to make some New Year reflections and resolutions, to clarify the IT role in the digital transformation and move their organization to the next level of business maturity. 1. Does IT stretch, challenge or interrupt the status quo? Due to the increasing speed of changes and technology-led digital disruptions, the CIO role has never been just about managing the status quo. The digital shift for IT across the industries is to be innovative with systems of engagement. CIOs need to strategically work with the business as equal partners, to provide business solutions instead of products or services only. The available digital technology just makes innovation easier to do now than in the past, less costly, better accessible. CIOs should set the leadership tone to encourage people questioning the status quo and think independently, create an environment that encourages dissent and candor. Innovation is about seeing things from different angles and solving problems in different ways. It’s about breaking down silos and breaking through conventional wisdom. IT enables the business and supports the applications its customers use to not just transact, but transform the business, IT should become the proactive change agent, stretch out in every dimension to broaden its effect on the business and improve the overall business maturity. 2. What is the business perception of IT organization? Many think the new way of running a business is the management through an IT lens. In reality, however, there are still a lot of IT organizations being perceived as a cost center and back office function. Businesses do not show enough appreciation of the benefit gained from IT because they don’t have a clear understanding of their IT organization or they haven't provided IT leaders opportunities to lead change proactively. When there is a discrepancy between IT perception of itself and the user perception of IT, the top management must work closely to understand the situation from the different perspectives and make an objective assessment of IT maturity. The idea that the IT organization is overlooked as a digital driver and is being bypassed by business units comes at an odd time when you consider the robust new technology prospects and pervasive information influence. IT leaders must have a deep understanding of the business model and how organizations make the profit. In the end, it is not about technology, but what technology can do when it is enabling and integrating with change management and business processes to deliver strategic differentiation, inspire and facilitate innovation across the technology and business interface. IT is on demand. But to gain respect and appreciation from the business, IT management must keep evolving, communicating, and adapting. 3. Which scope of impact does the CIO make? The CIO sits in a unique seat of having the opportunity to see across the entire landscape of the business. Digital CIOs are “Chief Influence Officer”: Do you want the company and other departments looking to you for leadership around the competitive application of information and technology in a rapidly changing market? CIOs shouldn’t act as the transaction-driven functional managers only; they need to become the business strategists and innovation leaders to amplify their leadership influence in the business scope, their industry, or even the entire digital business ecosystem. What the CIO and IT, in general, must contribute to business vision-shaping and strategic goal-setting. They have to understand business issues contextually and communicate them creatively, as language influences perception. Without a clear strategy and a way to communicate it in the language of the business, CIOs will always have trouble getting even "aligned," no mention of reaching the higher maturity level of IT being proactively enabling and engaging with business partners. IT value-based management needs to be driven by concepts such as collaborative value, collective advantage and multi-layer ROIs. 4. Does IT leader have a seat at the big table? Ideally, the CIO should be a serious partner in the inner circle to creating value-added strategies and enabling deeper insights into the opportunities IT can do. The board and top leadership team should help to define the CIO role as the same as the other CXO roles have been defined. If the senior leadership team doesn't demonstrate active involvement in IT, or even denies the CIO to have a 'seat at the table,' and allows business units to go off on 'rogue IT,' why should they expect IT-driven innovation? The digital CIO should sit on the executive board as the “digital transformer” because it is critical that the CIO can contribute to strategy making and goal-setting. IT department effectively enables and facilitates the business strategy and objectives, and ultimately orchestrates the digital transformation. Digital CIOs need to not only get their voice heard but also figure out how to communicate persuasively and build the trustful relationship with the business in a continuous way. 5. Does IT provide the guidance for the organization’s future? Many organizations are at the tipping point to the digital transformation journey. Even though organizations are different, they are at the different stage of the business cycle, they have different structures, they have different cultures, they compete in different markets, and they have a different scale. Because any business practice today is always a combination of people, process, and technology. IT can make an objective assessment of underlying business functions and processes; IT should provide a comprehensive technological vision and business oversight; IT should be in a high-involvement process and proactively work as an integral part of the business to capitalize on opportunities. IT should also turn on the ‘debugging mindset,’ to do a root cause analysis and always discover what is at the heart of the problem, take a holistic approach and structural practices for building the high mature digital organization with attributes such as responsiveness, adaptability, information availability, speed, and innovativeness, etc. All forward-thinking businesses across the vertical sectors claim they are in the information management business. A future-driven IT is the threshold to knit all those important business elements to the unique set of capabilities for strategy execution. Forward-thinking organizations across the industrial vectors today are looking for strategic or transformational CIOs in leading their digital transformation journey. 6. Is IT desired? Does IT help the business thrive? Technology is pervasive, and the information is exponential. Digital Transformation or business initiatives today nearly always involve some forms of technology implementation and information deployment. IT shouldn’t be the afterthought of the business because technology is often the disruptive force behind digital innovation and information helps to forecast the emergent business trends and customers’ needs. With the growth in enterprises leveraging IT for revenue-generating initiatives, IT has to turn around its tarnished reputation because IT has the history/tradition of being a very expensive cost center, often with the little demonstrable value that typically misses its commitments. IT cannot be seen as an enabler unless IT management clearly understands what their organization does for a living. The IT leader of the future and the exemplar of today must move away from pure IT manager and become a true business partner and strategist to run a desired IT organization and catalyze the business growth. Especially as more and more enterprises are leveraging IT for revenue generating initiatives. To improve maturity, IT organizations need to be assertive in preparing and engaging effectively and efficiently with their business partners in strategic initiatives. Information technology should be seen by any business as a “digital transformer,” to help the business thrive, not just survive. 7. Does IT have a positive and bold message and brand? In order to run IT as a business, besides building the functional and better delightful products and solutions, IT needs to know how to promote its products and services and learn to develop a strong brand selling the right things to the right people for bringing high business value. IT branding needs to be part of IT transformation effort. Your brand identity will be the face you put on your IT organization and it flows from your brand strategy. IT brand identity should be supported by the message you create and distribute to your customers. For successful IT branding, basically, you are asking yourself: What are we trying to accomplish? Are we on the right path? What do we aspire to achieve? Is “what we look” consistent with “who we are”? The business goal for IT branding is to have all, if possible, audiences at every level of enterprise weighed-in with delight. What is required is having a strategy that integrates these technologies across the entire enterprise, including how best to source them. Also, make sure that the external customers who purchase products or services have a great experience relating to any IT systems that impact them. IT should deliver the bold message of “Doing more with innovation.” Rebranding IT starts with rebooting mindsets of the business management, following by retooling IT management and training IT staffs as the brand ambassadors. 8. Does IT drive change, team building and organizational learning? IT is in the middle of a sea change, it is important to realize that there are basic principles and rules that make it work. The CIO should set or co-set digital principles for running a high-performing organization. IT also plays a critical role in building the learning capability of the organization via tuning business processes, optimizing information and integrating knowledge management, as well as empowering employees with effective technological tools to improve productivity and learning agility. CIOs shouldn’t get pushed for changes; they are actually in a better position to play a role as change agent. CIOs are accountable for critical part of the business that is constantly changing and evolving. They should be capable of evolving leadership skills to not only match pace with the changes in technology and the pace at which the organization can effectively manage these changes but also proactively enable collective learning and drive changes in business transformation. In the learning organizations, people focus on the learning opportunities provided by assignments, rather than on the status quo. They are open to fresh ideas and encouraged to be creative. Communication and collaboration are harnessed, positive energy and creativity flow like the fountain. 9. How technically-oriented the business is in general? We live in an information technology world and every day more and more technologies affect the way we live, think, and work. Nowadays IT is like the backbone of the business. Many forward-looking organizations declare they are in the information management business. With IT as the linchpin, modern digital organizations are not just the sum of functional pieces, but an integral whole to maximize its performance. In practice, how technically-oriented the business is depends on how seamlessly IT can be integrated to the business and how collaboratively IT and business can work together to ensure the business as a whole for maximizing its performance and unleashing the full digital potential. IT maturity is proportional to the overall business maturity. Business initiatives today nearly always involve some form of technology implementation or information refinement. A company must leverage IT and encompass all of the relevant management disciplines in place and actively monitor emerging business opportunities and risks in order to recognize and act on them in a time frame that will yield strategic advantages. IT needs will only expand. During the digital transformation, it is the time for IT to rock. IT reflection shouldn’t be too shallow, IT resolution shouldn’t be too empty and setting metrics shouldn’t be a too much inward focus. Change is an ongoing business capability in which IT is a key component. The purpose of digital transformation is to embed digital technologies into key business processes, leverage the value of information, improve business capabilities to compete for the future and ultimately run the business as Digital Master. Pearl Zhu is an innovative “Corporate Global Executive” with more than 21 years of technical and business working experience in strategic planning, Information Technology, software development, ecommerce and international trading, etc. She holds a master’s degree in Computer Science from the University of Southern California, and she lives in the San Francisco Bay Area for 15+ years. She is the author of “Digital Master” book series and the “Future of CIO” blog.